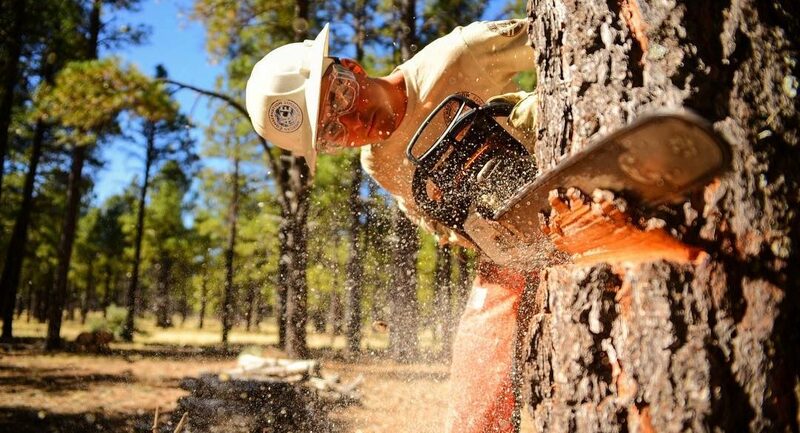 The 21st Century Conservation Corps (21CSC) is a national initiative to grow the Corps movement by expanding and leveraging private-public partnerships. By giving more young adults and returning veterans the opportunity to work and serve on America’s public lands and waters, the 21CSC seeks to improve our infrastructure, boost local economies, and train a new generation of American workers. The 21CSC is a bipartisan idea supported by the past five Secretaries of Interior, as well as private businesses and nonprofits. The backbone of the 21CSC is a collective of more than 220 Corps and other organizations across the country that annually engage tens of thousands of young people and veterans in quality, cost-effective maintenance and improvement projects on public and tribal lands and waters across the country. The programs of the 21CSC help address the backlogged maintenance needs of land and water management agencies; enhance outdoor recreation opportunities; improve the accessibility of public lands; and respond to wildfires and other natural disasters. The Corps Network is a co-chair of the Partnership for the 21CSC: a body of key federal, state, local and non-profit leaders tasked with supporting the development and implementation of the 21CSC. Learn more at 21CSC.org. By 1) Engaging Corpsmembers in projects that support the outdoor recreation and restoration economies; and, 2) Helping young adults and post-9/11 veterans develop in-demand job skills. Corps leverage the hard work of patriotic Americans for the purpose of strengthening the most beautiful country in the world. By completing projects that maintain and improve unique natural and cultural assets that are critically important to hunters, anglers, outdoor enthusiasts, and rural economies. Corps get things done through cost effective and innovative private-public partnerships. The bipartisan 21CSC Act was introduced in the United States Senate (S.1403) and House of Representatives (H.R.2987) in June 2017. This bill is a merger of previously introduced versions of the 21CSC Act (S.1993 – introduced August 2015, and H.R.5114 – introduced April 2016) and the Public Lands Service Corps Act (S.1160 and H.R.2167 – both introduced in April 2015). This new 21CSC Act represents a bipartisan effort among sponsors and cosponsors of both the 21CSC and Public Lands Service Corps bills to work together for the advancement of Corps as a public-private strategy to meet the needs of America’s resource management agencies and provide work opportunities for young adults and veterans.